The beauty world is full of both written and unwritten rules. From the age of beauty print magazines to modern beauty blogs (including this one), there have always been sources to tell us what combinations look good, which look bad, how to best take care of our hair and nails, and what hairstyles to wear in each season. While all of this information is extremely valuable (there is a reason they became “rules” in the first place) it is also important to note that every person is different, and what may look great for one may not work for another. Think of beauty rules as guidelines that are meant to be experimented with. Saying that someone shouldn’t wear a certain color lipstick because of their hair is absurd. Redheads can look great with red lipstick; it is all about finding the right shade. Classic shades of red with warm tones tend to work perfectly with redheads. Purple or blue undertones tend to look a little off combined with red hair, but the goal of this blog is to get you to experiment and find what works for you, so give them all a shot! A natural thought for those with oily skin would be to avoid skin products that contain oils. However, there are many types of natural oils that can help soothe your skin without irritating it or causing breakouts. Pomegranate oil and lavender oils are good places to start. While this rule holds true 99% of the time, there are rare occasions where you can use your sleeping hours to your advantage. The smudging that is caused by shoving your face into the pillow can actually have beautiful effects on eye makeup. This is not something you should do all of the time due to the effects wearing makeup overnight can have on your skin, but now and then won’t cause much harm and you could end up with a unique eye makeup look. Dating back to as recently as 10 years ago, toners had the propensity to really dry out skin. I actually recall using toners to help with acne during my teenage years and I remember just how dry my skin felt afterward. Fortunately, advances in toner technology have been made and toner is no longer just for those trying to deal with oily skin. Many toners today are alcohol-free and are able to hydrate your skin while removing a lot of bacteria. 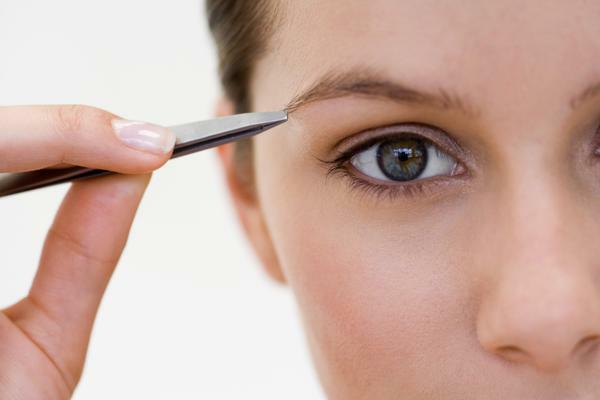 This rule is in place so that you avoid eyebrow disaster by ruining your eyebrow shape. It is much easier to screw up and pluck too much when you are working from above your eyebrows. A common theme in the beauty world has been “let the professionals work from the top, and you work from the bottom between appointments.” While it is true that it is easier to ruin your arch shape plucking from above, it does not mean it’s impossible. Just take some precautions. A great way to make sure you get the perfect shape is to use a brow pencil to fill in the exact shape you want, then pluck all the hairs that fall outside of those lines. Give it a shot. Besides, if you mess up you can always come to Threads. Are you inspired to start breaking the beauty rules? Don’t stop with the rules mentioned above, experiment in every aspect of beauty. You may have some disastrous results, but you can also find some amazing styles and skin care tricks that will improve your beauty routine forever.